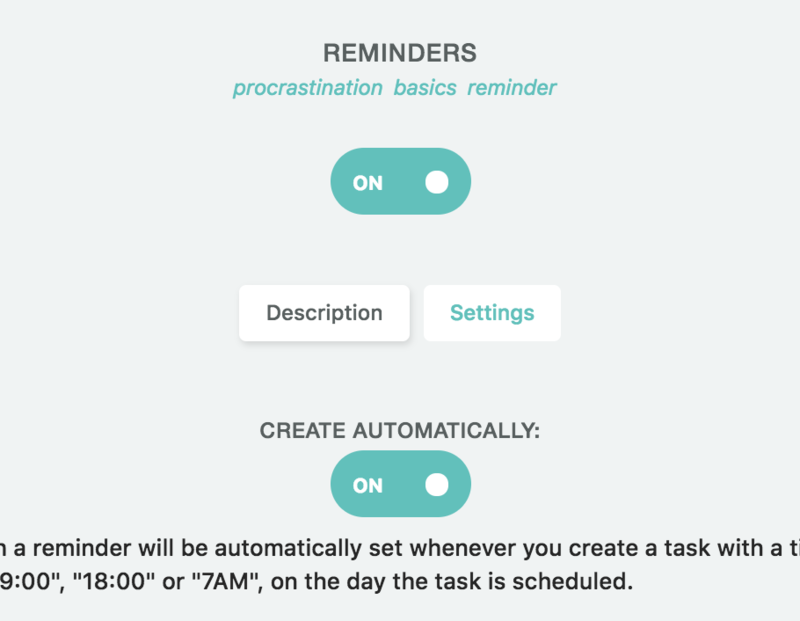 Turning on this strategy allows you to set a reminder for a task. How do reminders show up? Depending on which browser you use to use the Marvin web app or on which platform you use the desktop apps the notifications look and function slightly differently. Usually you have to allow notifications for app.amazingmarvin.com the first time they try to pop up. You can often configure if you want there to be a sound etc. in your local settings. 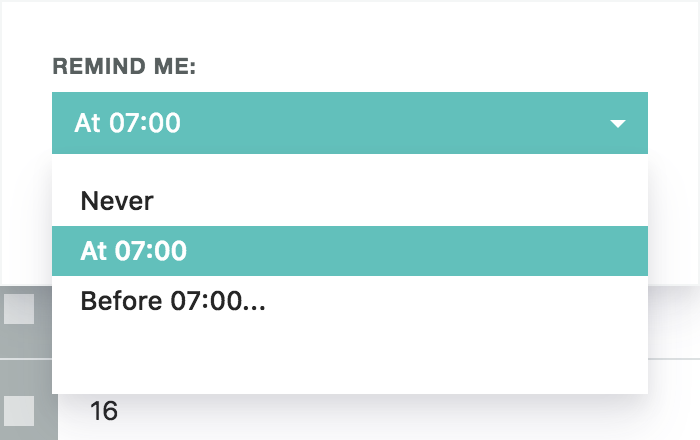 You can set a reminder for on any task by including a specific time in the title of the task and then clicking the time (the time will be a colored link). You can tell that a reminder is set if there is a little clock icon that appears next to the time. 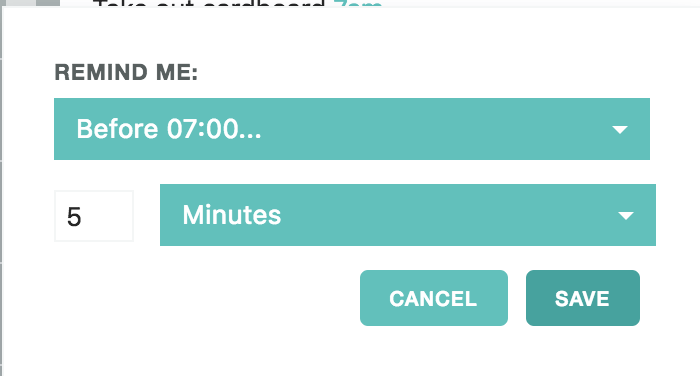 If you want there to be an automatic reminder every time you include a time in a task title, turn the auto-reminder setting in the strategy setting on. Can you set multiple reminders for a task? Not yet. But we are extending the reminder functionality soon to include multiple reminders.